If you happen to be a first generation iPad owner eager to upgrade once the iPad 2 is released, the upgrade may cost you a lot less than expected. To make the upgrade less painful on your wallet, several options are available, from auction sites, to used iPads resellers. eBay One of the best way to sell your first generation iPad is eBay. While eBay – and its payment partner Paypal – will charge you a hefty fee for the sale, the auction website will give you access to millions of potential buyers worldwide, including countries where the iPad is not available. Depending on the condition of the device, used iPads can sell anywhere between $300, to more than $600. 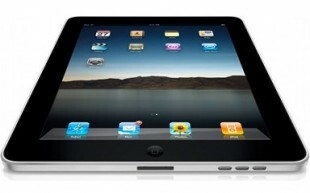 3G-enabled iPads tend to sell better, but WiFi-only iPads in pristine condition sell very well as well. Note that many iPad owners will flood eBay with used iPads very soon, so if you’re thinking about buying the iPad 2, you may want to list your first generation iPad on eBay as early as today. Trade-In websites Sites like NextWorth offer used iPad owners to trade-in their first generation iPads, to help subsidize the cost of the upgrade. While you may not get as much money as you would on eBay, the trade-in process is extremely straightforward, and shipping your iPad to their facilities is usually free. The trade-in value is directly related to the condition of the device, and iPads in good condition typically sell for anywhere between $250 and $400. Note that some of these sites even partnered with Target to offer an in-store trade-in option, and consumers will be offered store credit or gift cards that can be used at any Target nationwide. Donations Some charities accept new and used electronic devices such as the iPad. While you will not get cash for it, you will be able to deduct the value of the device from your next year’s tax return, and best of all, the cash generated by the sale of your device will help folks in need.